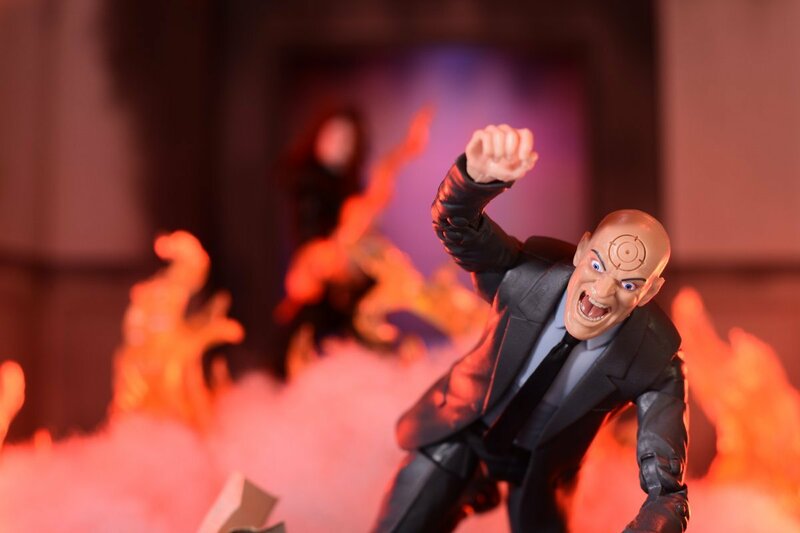 For today's photo we are spotlighting Photographer Darcreign and his photo of the Hasbro Marvel Legends Typhoid Marry figure in a photo titled "Feel The Heat". Ha! A bullseye on Bullseye! Kitbashing + creativity = one fine photograph! Nice one Darcreign, Looks like Bullseye and lady T got into a" heated" domestic dispute. Cool picture. Does anyone know where to get those flaming effects? Not sure if those are the same ones, but Tamashii Nations makes some. Definitely will have to look into getting some of those myself. lol are you cheating on me!!! This is awesome. Not really a character to root for in this one though, since they are both so dastardly. That Typhoid Marry looks like a great figure to have.